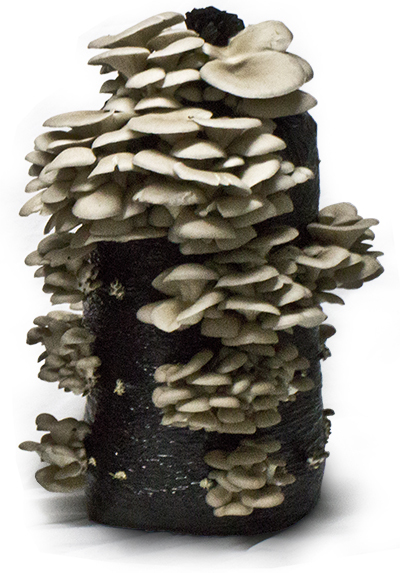 Oysters are amongst the most popular mushrooms cultivated by mycology hobbyists. They can also be the most unpredictable and fickle mushroom to produce. Our oyster bag are the key to success for any oyster grower. Highland Oysters, our sister company, produces over 20,000 oyster bags every week. A mixture of mostly straw is pasteurized using either hot steam or water. After about 6 hours, the substrate is cooled and our house blend of oyster spawn is added. The mixture is then poured into special perforated oyster bags. The oyster bags are then placed in “spawn run” clean rooms. In these rooms, the oyster bags are kept in ideal conditions for 2 weeks. During this time, the oyster mycelium grows and knits throughout the straw and growing towards the holes in the oyster bag. 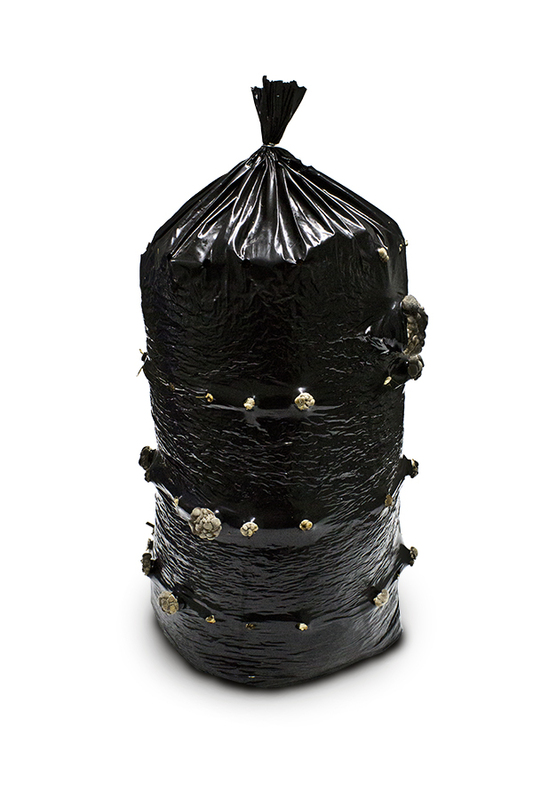 Once small oyster pin heads are visible, the oyster bag is ready for shipment. At this point, we send them to our oyster farms. 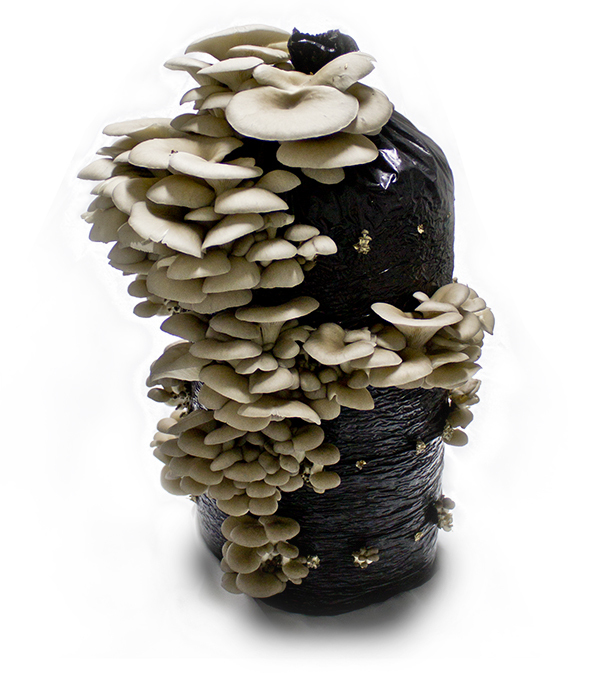 Our other option is to sell the oyster bags to other mushroom farmers. Our customers will receive a ready-to-go oyster bag, of the same quality that we send to our own farms. We grow both pasteurized and sterilized oyster bags. Our oyster bags are available in gray (sometimes blue tint), yellow, or pink. The pasteurized method uses oyster bags with already existing holes. 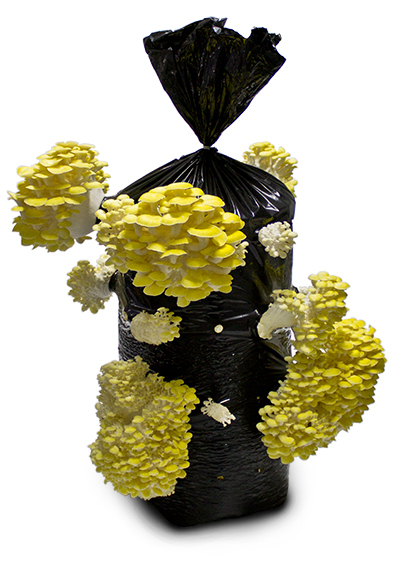 Pasteurized oyster bag growers need to maintain a clean environment. White suits and air-locks are not require, but pasteurized oyster bags may not do so well in a musky basement or garage. There are 4 key components to growing oyster bags. Proper temperature, humidity, CO2 levels, and cleanliness. Oysters thrive in cool wet conditions. Between 58-60F and 80-90% humidity. The humidity required for oyster bags is difficult and needs to be adjusted at the grower’s discretion. Even experienced oyster growers can make mistakes at this stage. Cracked and dry oysters are a result of low humidity, however too much and the results can be bacteria blotch and disease. CO2 levels are more flexible, anywhere in the 600-1000 ppm range is acceptable. A clean environment is also needed. Our farms thoroughly clean each oyster bag room between batches. 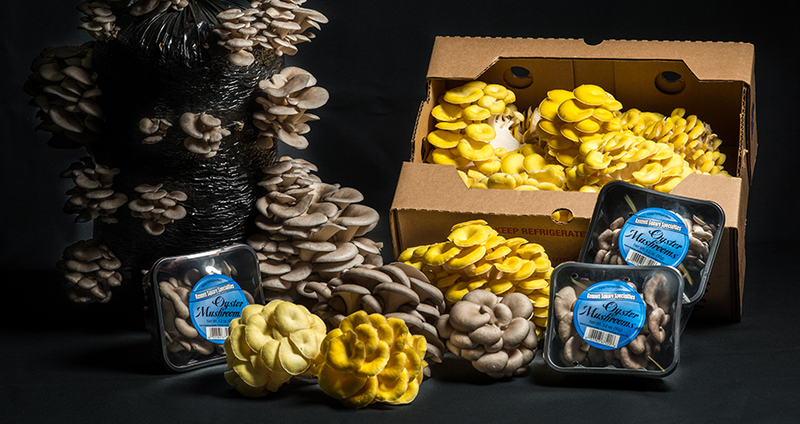 If the proper conditions are maintained, customers can expect to get a bountiful harvest of oyster mushrooms. Our oyster bags don’t require any action to the actual bag itself. The farmer just needs to ensure the environment stays ideal. There is no soaking or opening of the bag required. Sterilized oyster bags will require a few small holes to be punctured. After receiving the bags, expect mushrooms in 7-10 days. 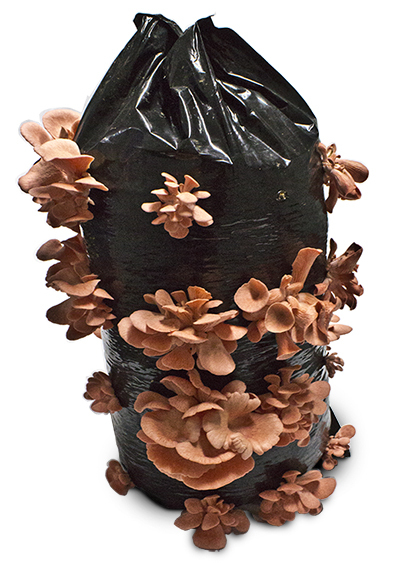 Flushes with oyster bags are more staggered compared to a shiitake log. A second flush might occur on an oyster bag within a few days to over a week. We typically pick only 2 flushes off the oyster bags until we compost them. Some customers leave them in for multiple weeks, reporting 3 or even 4 flushes of mushrooms off of our oyster bag.